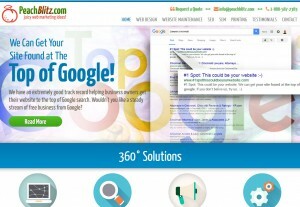 We wouldn’t be where we are today without the help of our SEO company, www.PeachBlitz.com. We get thousands of visitors a day and have attracted the attention of media such as the CBC as a direct result of our SEO company! If you need another reason to check them out, they put their money where their mouth is by charging WAY less the first six months without contract. I was not paid to post this. When they asked for my recommendation, I was just more than happy to do this.